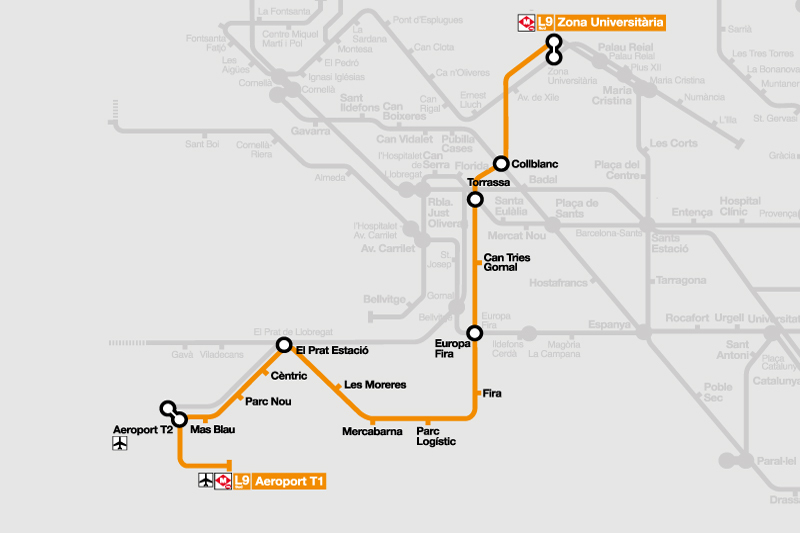 The new Metro line L9S (L9 Sud) connects directly the airport terminals and the conference (L9S – “Zona Universitària”). Notice that, the multi-pass T10 ticket cannot be used for the metro stops Aeroport T1 and Aeroport T2. You would need to buy a special Airport metro ticket if you want to use the metro to get to and from Barcelona airport.